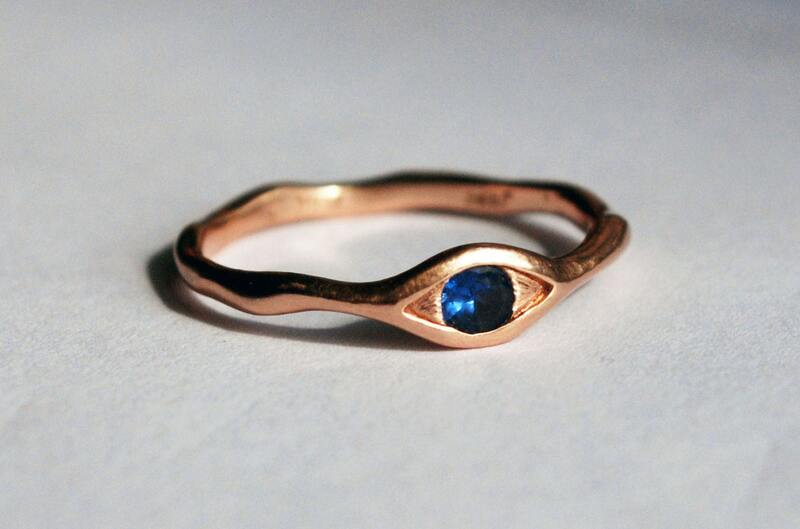 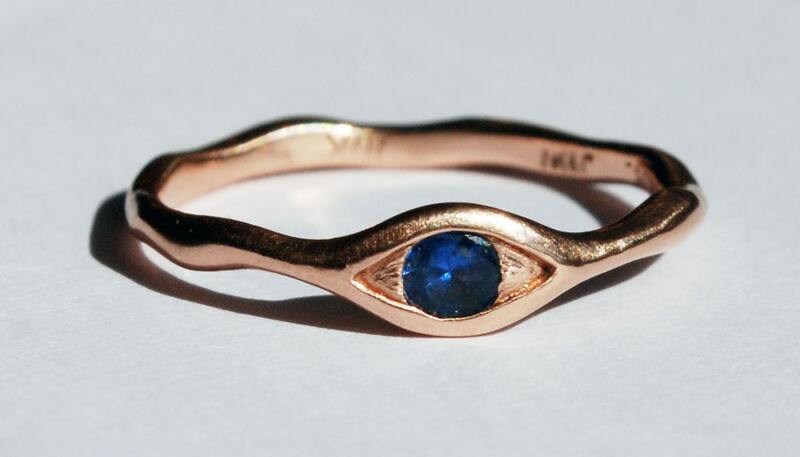 Rose Gold and Natural Blue Sapphire Eye Ring, Size 7 Ready to Ship. 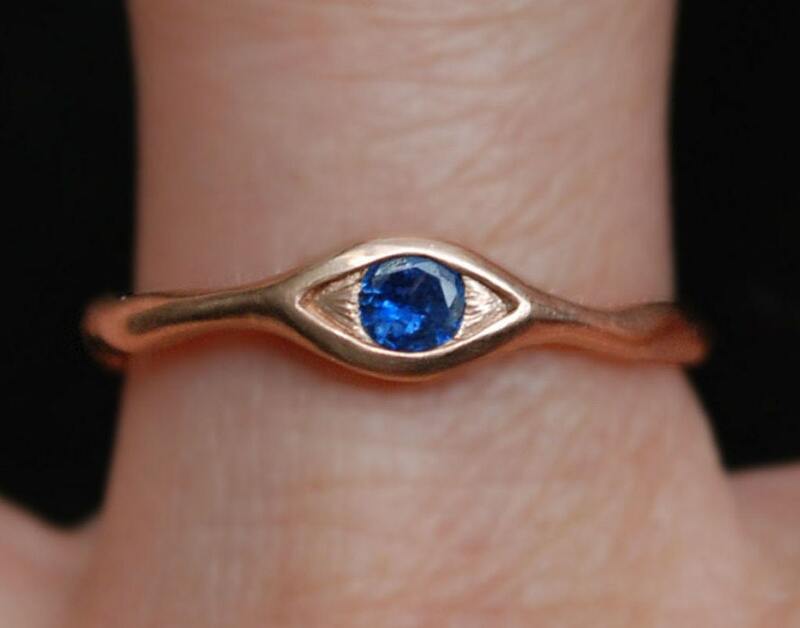 This eye ring is solid cast 10k rose gold with a 3.1 mm beautiful lavender blue, faceted Sapphire. 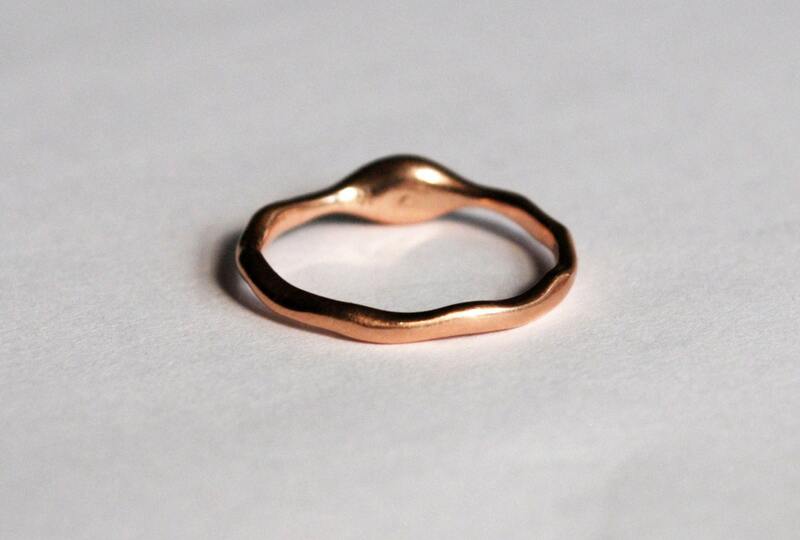 Buffed and burnished to a satiny glow, it looks amazing on its own but stacks nicely with other rings as well. 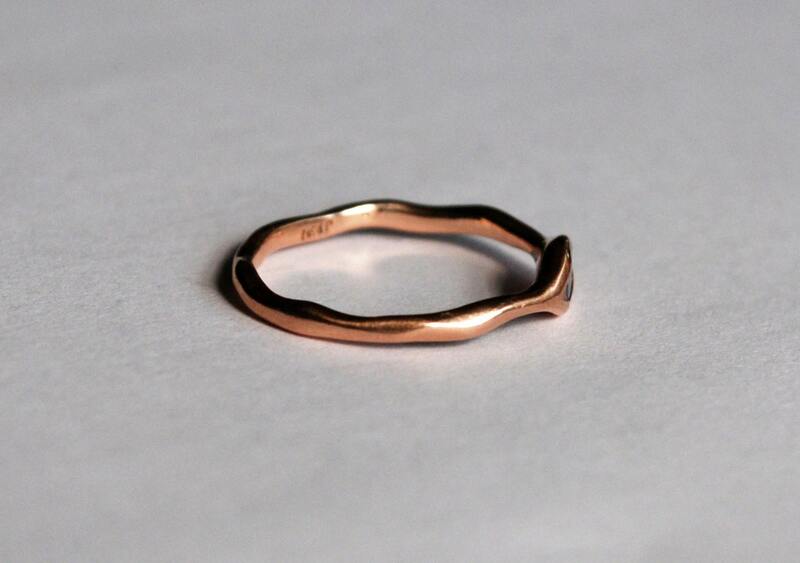 US size 7 but can be stretched up to 7.25 (please write size 7.25 in notes at checkout).